My 7 month old fits in a size 1 and it looks adorable on him! He wears it for his swimming lessons and he stays warm while in the pool. 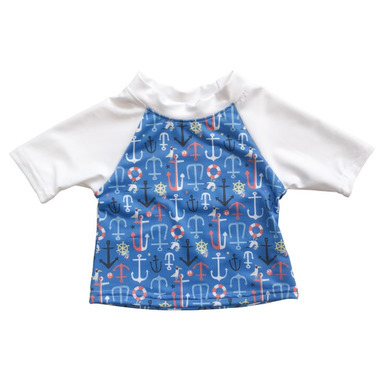 We're an AppleCheeks family, so getting this shirt to accompany his AC swim diaper was a no-brainer!